The Toronto Real Estate Board reported 6,458 condominium apartment rental transactions for the first quarter of 2016. This result represented a year-over-year increase of 6.5% compared to the first quarter of 2015. ​“It’s not just the home ownership market that is tight in the Greater Toronto Area. Demand for condominium apartment rentals remained very strong relative to available listings. As a result, strong competition between renters prompted very strong growth in average rents, particularly for the popular one bedroom and two-bedroom apartment categories,” said TREB President Mark McLean. The average one-bedroom apartment rent was $1,662 in the first quarter – up 4.8% compared to the same period in 2015. 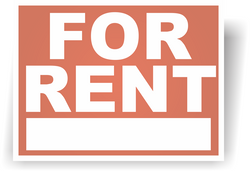 The average two-bedroom rent climbed by 8.9% to $2,375 on a year-over-year basis. “Even with record and near-record completions over the last few years, condominium apartment vacancy rates have remained low. Renters looking for new apartments in popular neighbourhoods are by and large pointed at investor-held condominium apartments. This is why new rental listings have been absorbed in short order and average rents have trended upwards over the past year,” said Jason Mercer, TREB’s Director of Market Analysis.